It may not look much now, but another of nature’s gifts starts right here in the hedgerows and the scrub land. 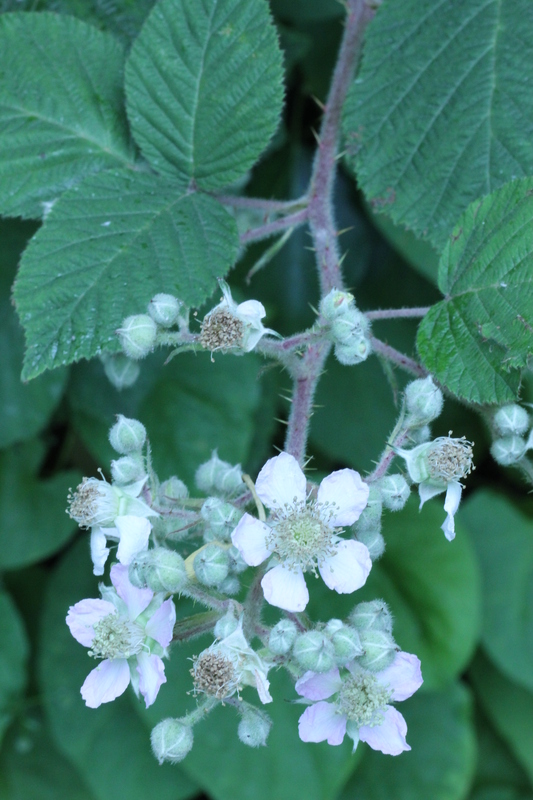 Take a walk in a further couple of months and I would hope to see plenty of blackberries hanging off the briars and all for free. A splash of rain, a sparkle in the baubles of the blackberry and a decent photo opportunity awaits along with something to add to the apple pies. Hi MM, I took a very similar picture yesterday! If/when I post it, I will include a link to this! There is no fruit pie or cobbler that I more enjoy, than blackberry. From early childhood days, I fondly remember picking supple berries in their summer’s abundance. I miss those days as the High Desert is less than a welcoming environment for their flourish. Thanks, much, for rekindling fond memories! If you have the patience, they’re pretty good in jam too. The pectin in apples help it set.